Now that Flying Lotus has given us all the guest-loaded details behind his upcoming You're Dead! LP, the beloved experimental beatsmith has delivered an audio-visual album teaser streaming guest spots from the likes of Snoop Dogg and more. 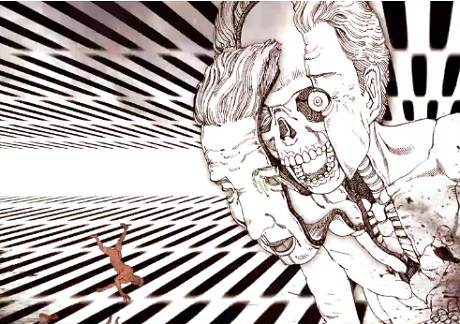 As you'll see in the player down below, the senses-flooding smorgasbord finds frightening, human anatomy-annihilating images from Shintaro Kago paired with clips from the LP. There's some searing jazz-fusion guitar and organ work, the sound of West Coast rapper Snoop's familiar blazed-out drawl, the coos of former Dirty Projectors member Angel Deradoorian and more. As previously reported, You're Dead also features appearances from Kendrick Lamar, FlyLo's Captain Murphy alter ego, bass guru Thundercat, and more. It lands October 7 via Warp, just before Flying Lotus heads out on his upcoming North American tour. You can check out the newly shared album tracklist below.